Netflix has recorded another successful quarter, reporting $1.823 billion in revenue and profits of $43 million for Q4 2015, sending share prices up by around seven percent in after hours trading. 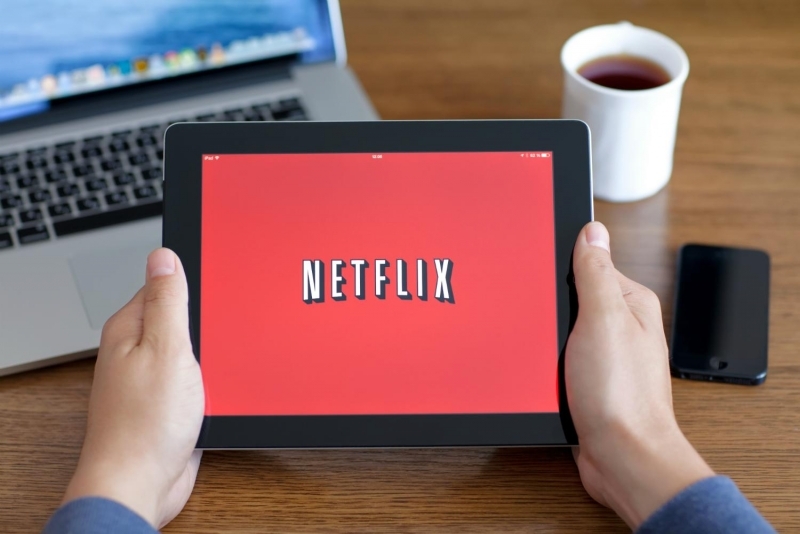 But it's not just revenue figures that are impressing investors: Netflix now has 75 million subscribers worldwide, and although 45 million of them are located in the United States, the company saw record growth in international markets in Q4. Of the 5.59 million new subscribers the service reported, 4.04 million were from outside the USA, compared to 1.56 million from within. The company also reiterated its plan to increase the cost of the standard streaming package by $1 or $2 for existing users. Netflix already rolled out the updated pricing structure for new users last year, but in a few months the service will remove grandfathered pricing and force everyone to fork out $9.99 for HD streaming. Non-HD streaming will still be available for $7.99, while family sharing with Ultra HD will cost $11.99. Netflix isn't just going to bank the extra money from increasing subscription costs without improving their service. In 2016, around 600 hours of original content will be added to the Netflix library, including new seasons of pretty much all their popular TV shows, along with some completely new IP. In the next finanical quarter for Netflix, the company will be able to include numbers from the 130 extra countries that were allowed to access the service earlier this month. However, the service has begun to crack down on users who bypass geo-restrictions, which might have a small effect on the number of international users who retain their subscription. Dont really care for their original content, just not things that appeal to me. If it goes up much higher Ill probably ditch it. The price is guaranteed to keep going up. It might not go up again for a year or two, but in the long run it's a given that it will definitely go up. So when are we going to see a leash put on content companies (or the laws that bind them)? It's pretty ridiculous that they get paid by the services that license their content per region of the world and that said services must renew every few years. There at least used to be a thing where copyrights would expire 25 years after copywritten but that's been lobbied all the way up to 75 years after the death of the author. In other words, much long then you'll ever live. Which is whats wrong with cable and satellite. A few more years and Netflix will be no better. No matter what crap they shovel down our throats, we'll pay. It's in the human DNA to love to be entertained and no price is too high, all providers know this like the back of their hand, they only worry about the competition. Been doing without it for years and haven't missed it a bit. The only way to get their attention is through the pocket book and since the newest generation has already been programed to depend upon them, there is little to no chance of their early demise. The same can't be promised for the newest generation! While I mostly agree with this, I think people have their limits, and speaking for myself, my limit was the $87/mo I was paying for Dish before I dropped it in favor of OTA and streaming. Now, I'm dropping Prime because I hardly ever use it and can still get free shipping if I meet minimum orders. My wife and I like Netflix' original content, specifically, Daredevil, Jessica Jones, and Sense8, and we also like the foreign and independent films on Netflix. I know everyone does not have our tastes, though. Even with the $2.00 increase for HD content, it is far below my comfort range at this point. Even with the increase and with dropping Prime, we will be paying $18/mo for content alone - far, far, far better IMHO, than $87/mo for Dish and the minimal content that we actually watched. Don't forget, next year ATSC 3.0 just might hit the airwaves, and eliminate all the reception problems with ATSC 1.0. OTA might just take off next year. Still, though, if Netflix went up to $87/mo, I'd drop it in no time.